My critique of the Value of Academic Libraries initiative has just been published in OLA Quarterly (it’s the first article in the PDF). I wrote it on the fly after a desperate request for content from the Oregon Library Association President, so it’s not my most thoughtful work, but I’m pretty happy with how it came out. 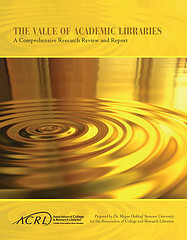 At ACRL, I went to a panel presentation on library value that included representatives from the University of Minnesota and the University of Huddersfield, whom I’d cited in my article. 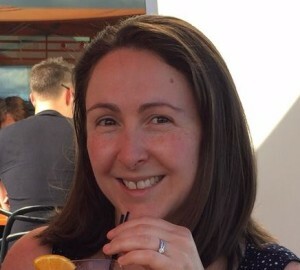 I was heartened to learn that they both are now using the data they collected to make improvements and was particularly interested in how the University of Huddersfield was targeting instructional efforts based on their data. I fervently hope that they will publish about this, because, in looking at the literature to date, there really isn’t evidence of using value-focused data for improvement. When people are putting the pieces together, they need to see the full picture of what library value research can achieve, and the most important (to me) piece of it is currently missing from the literature and the Value of Academic Libraries blog. I understand why the scholarly literature would lag behind, but the blog certainly doesn’t have to.